Here is a really nice piece of Sindy history, in the mid 1960s little girls could dress up as their favourite doll. 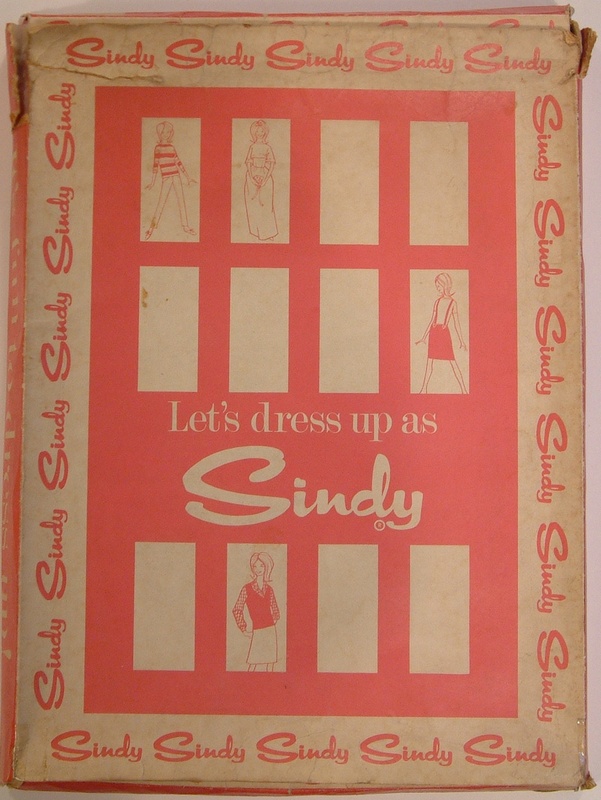 Colette Mansell in "The History of Sindy" noted that in the 1965 retail catalogue four replica Sindy outfits were featured for children and were described as "Sindy Dress-up Clothes". They were 'Weekenders', 'Leather Looker', 'Out-and-About' and the first edition of 'Bridesmaid'. In 1966 three more outfits were added to the range, Sindy's 'Air Hostess' outfit plus two Patch outfits for littler girls, 'Dungarees' and 'Swan Lake' (see photo of the catalogue above). 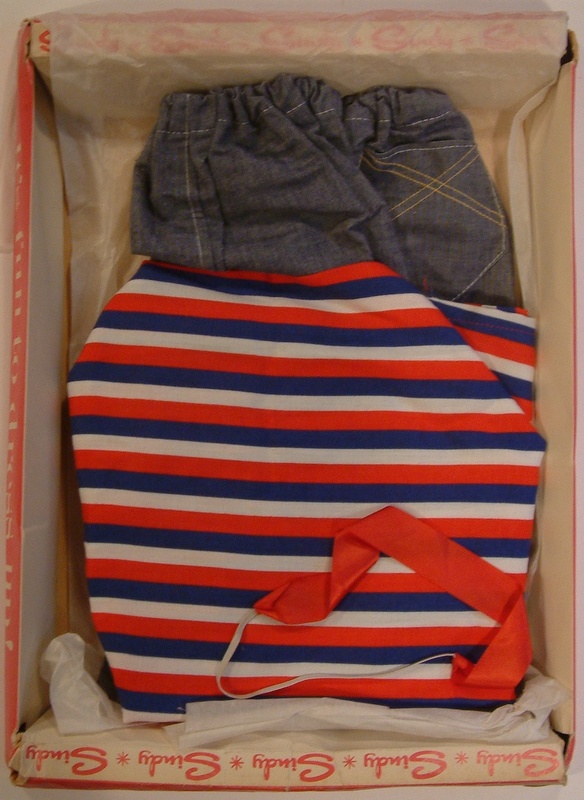 The Sindy outfits were available in three sizes: ages 3-6, 6-8 & 8-10. The Patch outfits were available in two sizes: ages 3-6 & 6-8. These dressing up clothes were made by the Lines Bros. (Richmond) Ltd factory. The same factory that made the Mam'selle outfits. We think these dressing-up outfits were only available from 1965 to 1967 and like the Mam'selle range were dropped following the rationalisation of Lines Bros. in readiness for the move out of London. These outfits were relatively expensive, the 'Weekenders' outfit cost 39s 11d, and they are extraordinarily rare today. The owner of the 'Weekenders' outfit shown here has only ever seen this particular outfit and none of the other outfits. If you have any examples of these sweet little dressing-up outfits and you would be happy to show them here for other collectors to see, please do get in touch.